We are ready to take on your upcoming landscaping project. It doesn’t matter whether you want to plant trees and shrubs or build a more complex solution for your property, our company always makes sure to take into consideration each and every aspect of the land we are working on. These kinds of improvements will be very important to the appearance and usefulness of your Brighton home or business location in the long run. 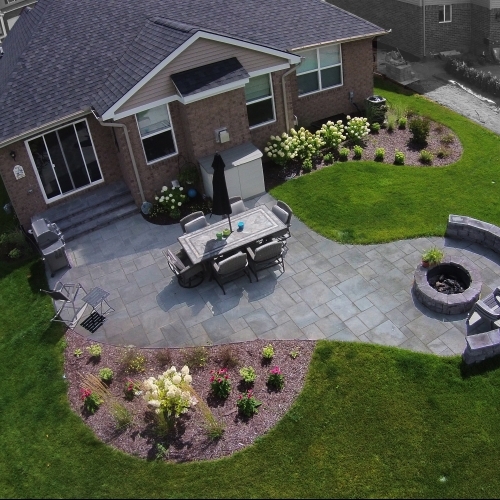 It is up to you to make sure you hire a landscaping contractor in Michigan that will give you the highest quality service and best finished product. Making big changes and properly maintaining your landscape is important for many reasons. It helps keep you happy about your home, impresses every single one of your guests, and makes your property in Brighton that much more valuable. Call us today so you can start talking with us about your upcoming project with one of our professional staff members.